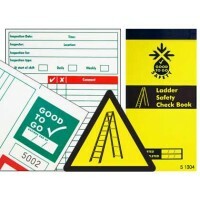 Good to Go Safety is a Safe Equipment Management System (SEMS) which allows workers to carry out a pre-use inspection of a ladder and spot faults before they become a more serious and costly defect. 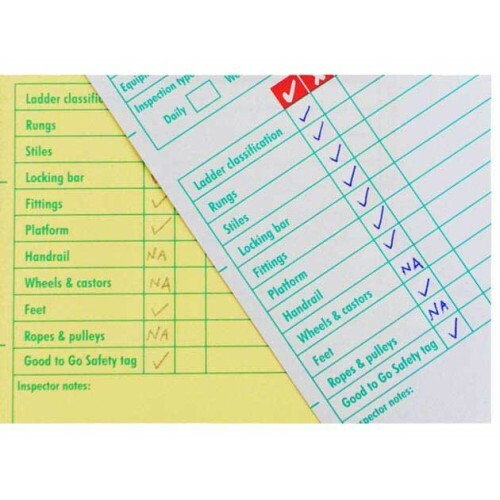 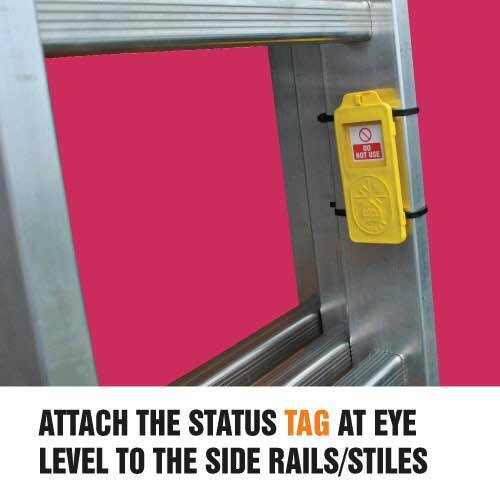 Simply attach a tag to equipment to provide a clear reminder to carry out a pre-use inspection checklist. 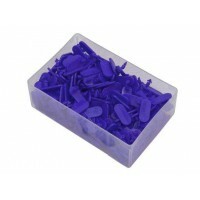 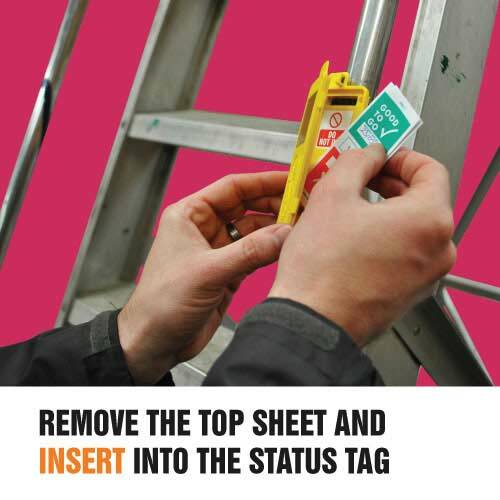 Then simply place the checklist inside the tag to show the findings and date of inspection. 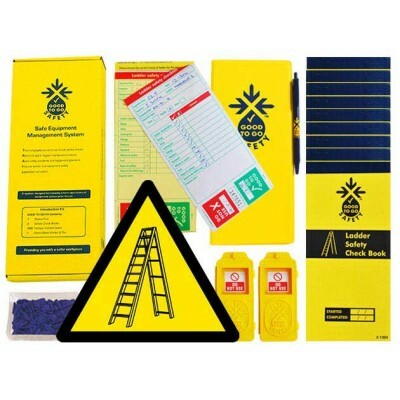 The Daily Inspection Checklist Kit provides everything required for a full year of daily inspection checks and is designed to help improve safety, reduce maintenance costs and ensure compliance with legal responsibilities. 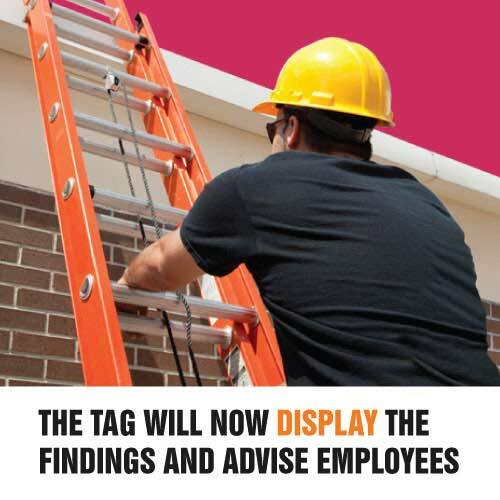 Users should carry out a pre-use visual & functional check prior to setting up a ladder to identify any obvious defects that could prevent safe use. 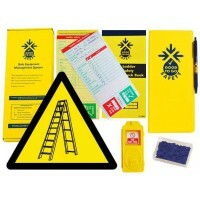 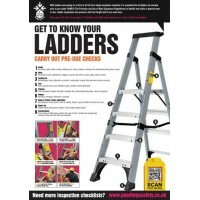 Each ladder inspection checklist kit contains 275 individual checklists relating to ladder components and structural checks to be completed before the ladder is used. 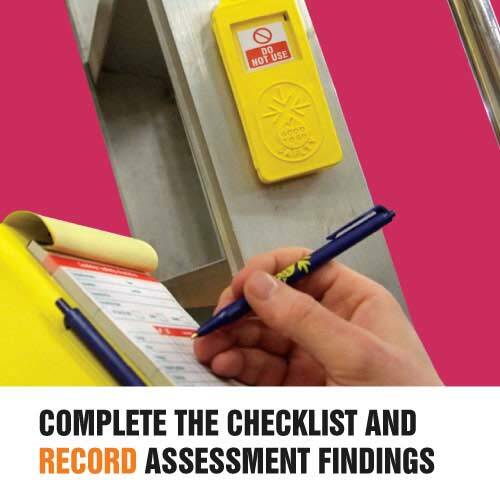 Duplicate carbon copies of the completed checklist are retained in the book for management records. 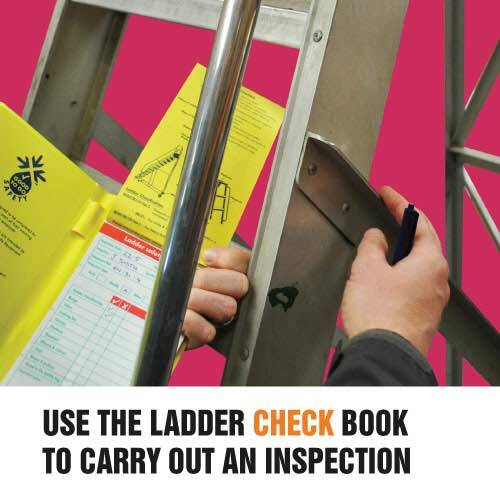 The book also includes useful notes to remind employees what to look for during the inspection.